The stars borders are some of our most popular borders. We have a variety of styles and designs. The star is a versatile icon and the designs give any project a positive and bright theme. 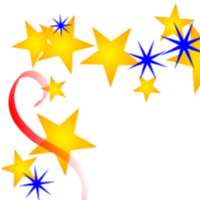 We have many styles from fun bubbles and stars to patriotic themed designs. 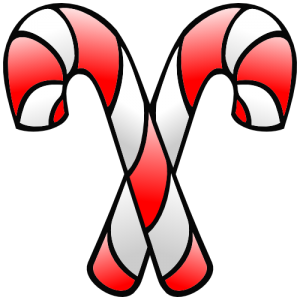 Fun illustrations of the Christmas holiday favorite, the Peppermint candy cane. Spice up any holiday event with both red and green clip art designs. 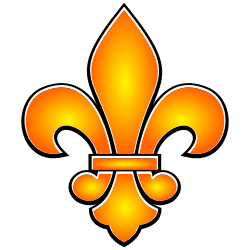 The Fleur De Lis is a classic image that connects the past with the present. It represents the Old World and admonishes qualities of elegance and style. In addition, it is a hallmark icon of New Orleans, Louisiana and the festive Mardi Gras culture. Our selection of Patriotic Borders offer a variety of ways to illustrate your love of the USA. There are designs with stars, designs with ribbons but each design will always include the red, white, and blue colors of America. 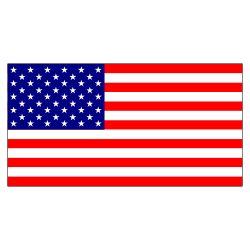 Celebrate Independence Day, Memorial Day, Veterans Day or any other patriotic holiday with our selection of borders. Want to say Aloha? Having a Luau? Our Hibiscus designs are the perfect solution for an outdoor party or get together. 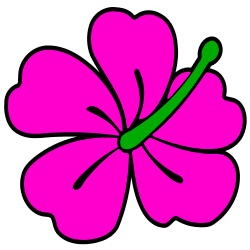 Celebrate the relaxed, friendly Hawaiian spirit with the clip art image or border. There is a variety of tropical colors to choose from so have fun and get your hula skirt on! Hot! Hot! Hot! Spice up your recipes, BB-Q Cook out announcements or any other event with these hot pepper designs. These images are a fantastic way to add a little spice and flavor to a party invitation or event announcement. 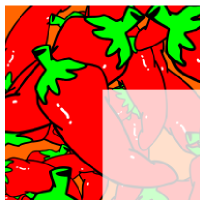 There is a red pepper border as well as yellow, orange, and red versions of the pepper clip art. Be prepared for election season with our patriotic and political party designs. It does not matter if you are Republican or Democrat, we have illustrations for each party. The GOP Elephant and Democrat Donkey are traditional symbols and logos in American politics. 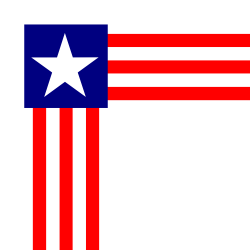 Each is Red, White, and Blue and contains the five-pointed stars. Show your support and use our renditions for any election or political event. These are just a few of the borders and clip art hosted on FreeBordersandClipArt.com. Check the catagory tabs and browse by Borders, Clip Art, or Theme. We are always adding new content so check back often.